Introduction • The study is a part of a wider national and international study that measures subjective well-being among children aged 8, 10 and 12. 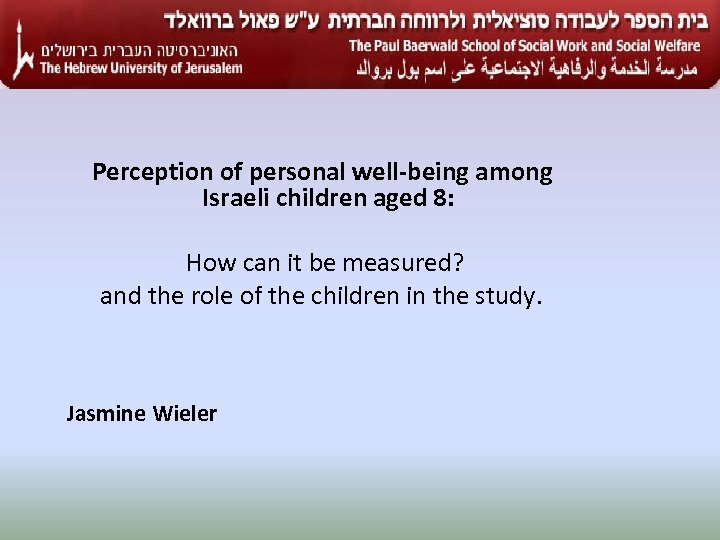 • The study focused on examining the subjective well-being of Jewish and Arab children aged 8 in Israel, and it will be one component in a general overview regarding the subjective well-being of children in Israel and around the world. 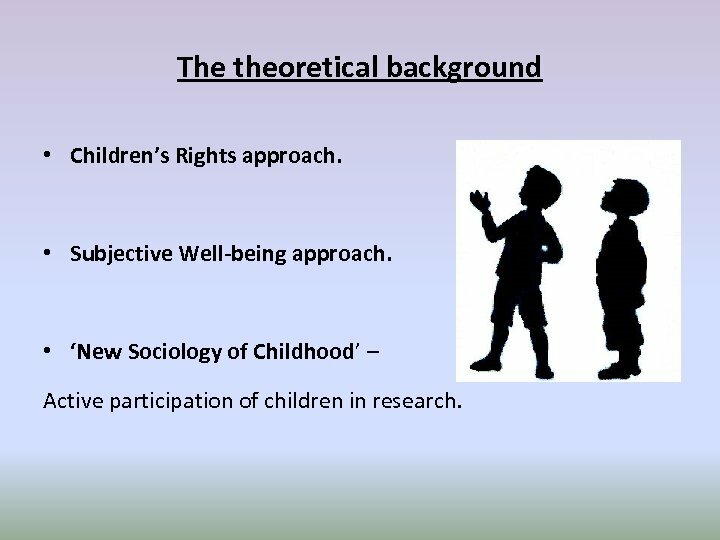 The theoretical background • Children’s Rights approach. • Subjective Well-being approach. • ‘New Sociology of Childhood’ – Active participation of children in research. 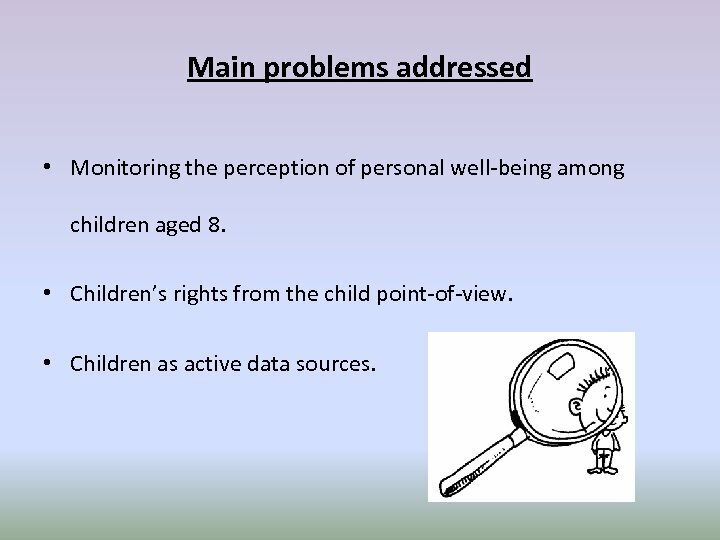 Main problems addressed • Monitoring the perception of personal well-being among children aged 8. • Children’s rights from the child point-of-view. • Children as active data sources. 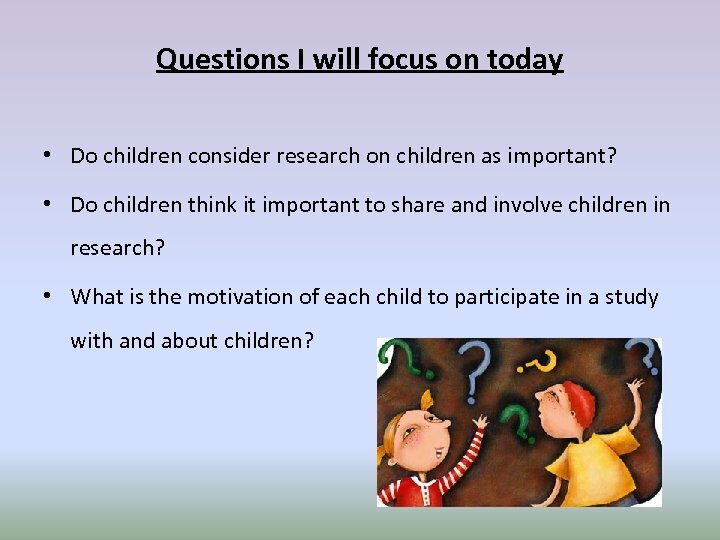 Questions I will focus on today • Do children consider research on children as important? • Do children think it important to share and involve children in research? 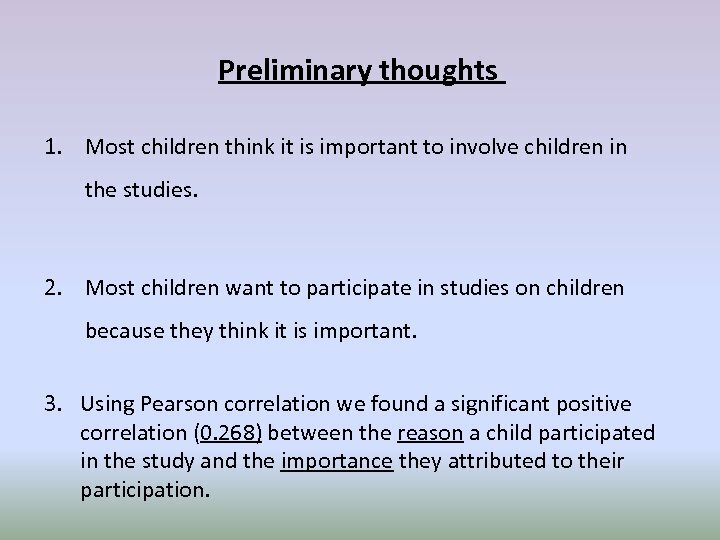 • What is the motivation of each child to participate in a study with and about children? 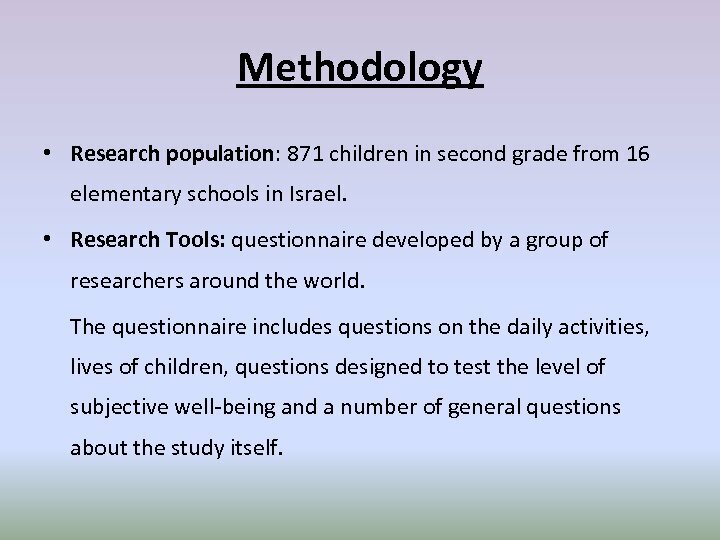 Methodology • Research population: 871 children in second grade from 16 elementary schools in Israel. 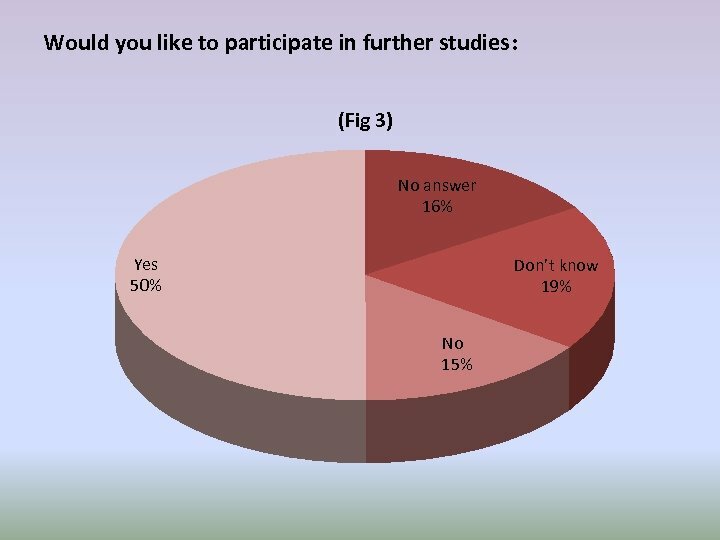 • Research Tools: questionnaire developed by a group of researchers around the world. The questionnaire includes questions on the daily activities, lives of children, questions designed to test the level of subjective well-being and a number of general questions about the study itself. Preliminary thoughts 1. 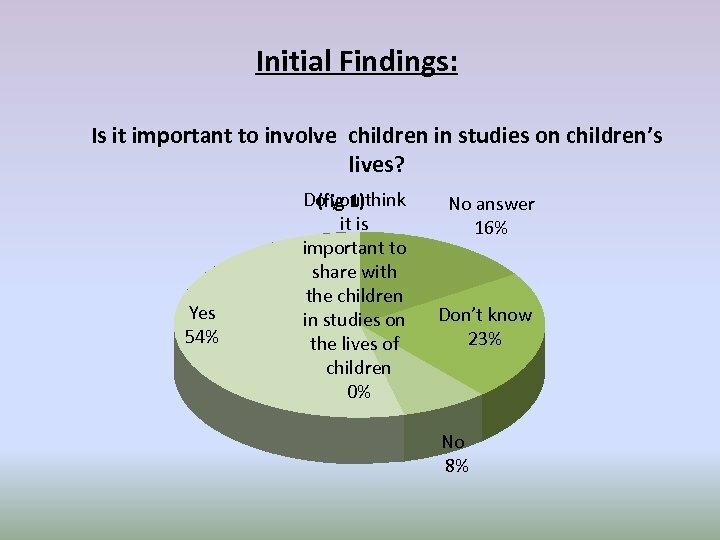 Most children think it is important to involve children in the studies. 2. 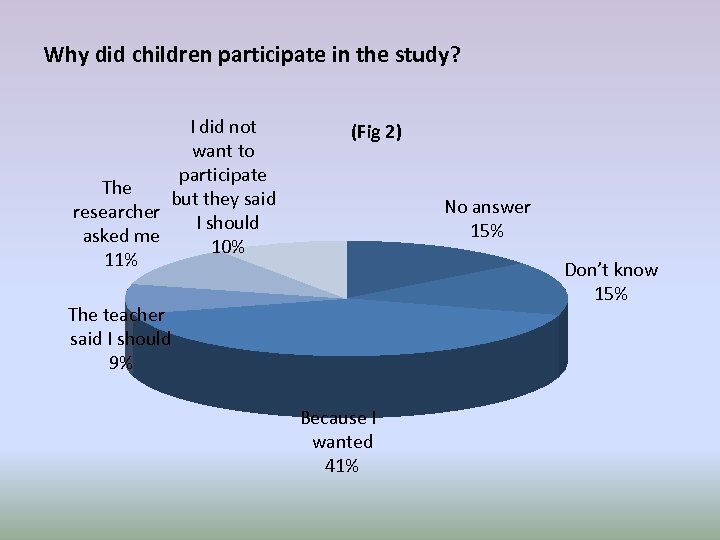 Most children want to participate in studies on children because they think it is important. 3. Using Pearson correlation we found a significant positive correlation (0. 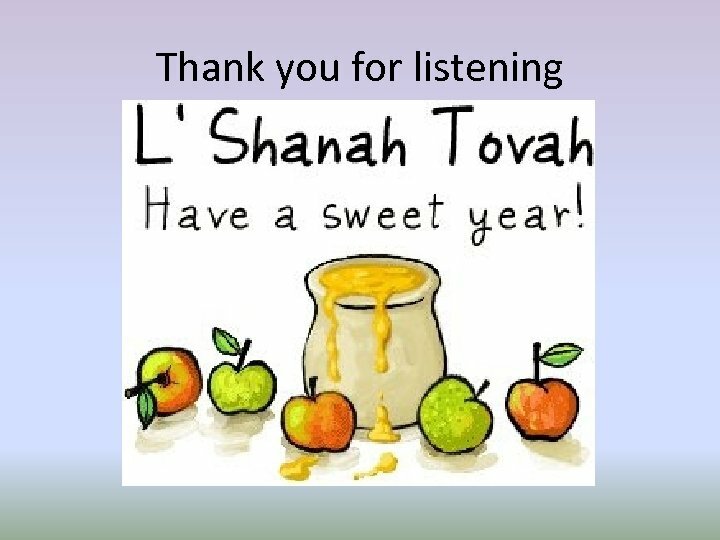 268) between the reason a child participated in the study and the importance they attributed to their participation. Thoughts for the future My next step is to further analyze the reasons the findings. For example: • Is there a significant difference between different groups of children (i. e. children from secular and religious schools)? • Are there gender differences? • Are there ethnic differences (i. e. Jews and Arabs)? 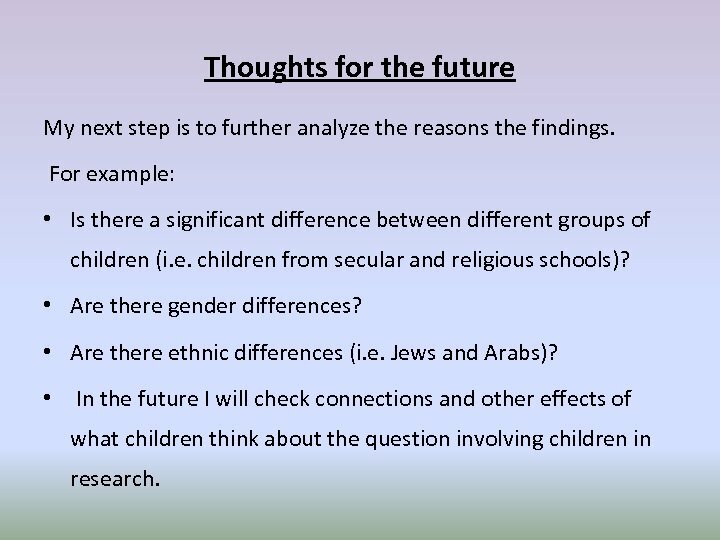 • In the future I will check connections and other effects of what children think about the question involving children in research.